Our Milestone Club is the perfect way to capture all the fleeting changes in your baby in his/her first year of life. 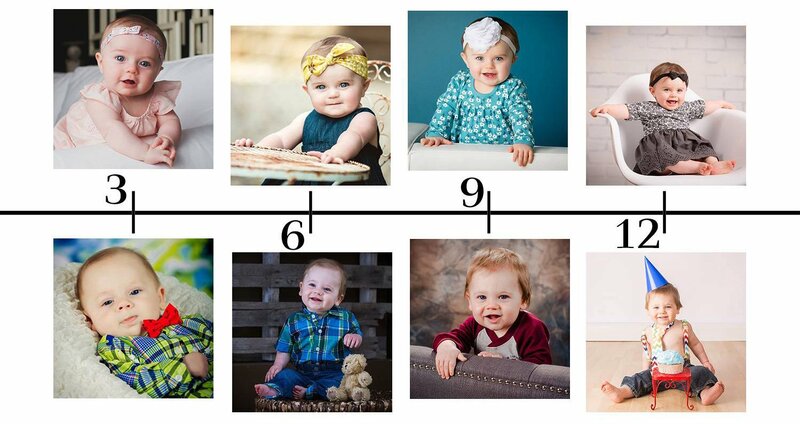 We photograph your child’s 3, 6, 9, and 12 month sessions at our full service photography studio in Sidney, OH. Each session can be as unique as you would like, as we welcome personalized props and are open to any creative ideas you may have. There is no session fee to join the Milestone Club, only a small deposit that will go towards one of the 3 Collections we offer.